Dubai is a land of different cultures with many famous landmarks like the Dubai Dolphinarium, Balloon Adventures, Dreamland Aqua Park, Wonderland Aqua Park, Wadi Adventure, Burj Khalifa, Burj Al Arab, etc. defining the landscape of Dubai. But there is none like the Dubai Desert Safari that helps you embrace the Dubai culture like never before. Brace yourself for one of the most adventurous journeys in your life. The Dubai Desert Safari will surely leave an everlasting impression in your life. The luxurious monster ride on a 4×4 air-conditioned vehicle will make you scream your lungs out, but at the same time give you many memorable moments all through your journey. A visit to Dubai will be termed incomplete if you leave without venturing into the desert. Get a pleasant taste of the real heart of Arabia with a desert tour. Test your intrepid strength as you venture into this adventurous journey. Experience the thrill of dune bashing, explore the exotic Dubai Desert Conversation Area, then pause a while to view the desert landscape, enjoy the glorious sunset, and then finally head to the Bedouin style camps. Enjoy Arabic hospitability like never before. If you opt for transfers, then the tourists and guests would be provided transfers from their hotel or place of convenience till the desert site and back forth. Welcome to the desert landscape where the colossal dunes await eagerly for all types of travelers. The drivers are well-trained, and the vehicles are ideal for maneuvering through the rough desert terrain. Choose the vehicle you want to drive in. Hold on to something tight as you would be going up and down the golden dunes. The first stopover would be the Dubai Desert Conversation Area, where you would get to see the exotic wildlife inhabiting in the desert. Even though Dubai sands are rich with plenty of wildlife species, you would be lucky to spot the oryx, gazelle, birds, geckos, and lizards venturing out in the desert. A part of the Desert Safari tour goes towards the wildlife conservation in the desert. The next stopover would be the traditional Arabic campsite where you get to indulge in a host of adventurous activities like sand boarding, camel rides, quad biking, decorating your hands and legs with henna, photography with a falcon and traditional Arabic attire. Guests are welcomed with a round of unlimited Arabic coffee, refreshments, dates, and a scintillating performance by a group of beautiful belly dancers. Later in the evening, feast on delicious BBQ dinner along with several Arabic appetizers and desserts. The belly dancers and the traditional Tanoura dance performances are played in the background with the latest Arabic tunes as the guests enjoy their delightful meal, creating a lovely ambiance for the evening. Post the evening safari, the dweller’s session starts. The overnight safari is an extension of the Desert Safari and comes with a night full of fun, adventure, and plenty of cultural activities in the heart of the desert. Stargazing is one of the fantastic experiences you can ever indulge. Rekindle old passions and ignite the romance with the warmth of the bonfire. The resting facilities are sufficient to give you a peaceful sleep. One of a kind experience which we do not recommend to skip. The Dubai desert can match the wildlife sightings to any savannah. For the best experience, we would recommend you to try the falconry experience. Exploring the desert landscape few meters above the ground riding on the majestic Camel is a splendid experience. You can extend the ride at an additional cost. No tour operator compromises on the food factor. Food is one of the critical components of this memorable journey. Get a taste of authentic, local cuisine and excellent hospitality to complete your delightful indulgence. For the adventure junkies, it’s heaven. 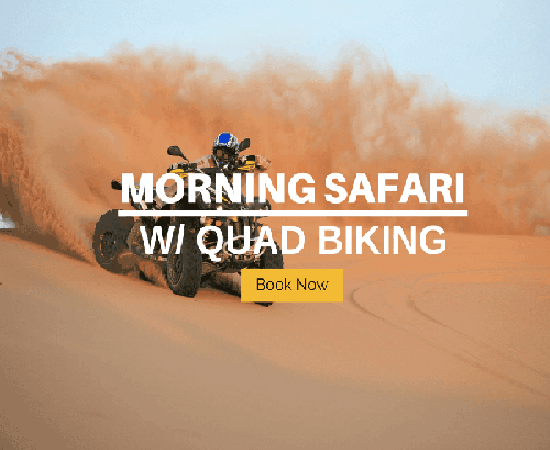 From dune bashing, quad biking, sand boarding, and dune buggy ride offered on several safari packages. The faint-hearted ones should give it a skip. If you can’t overcome the heat, try the evening or the overnight safari. The morning safari ends with the visit to the camel farm. 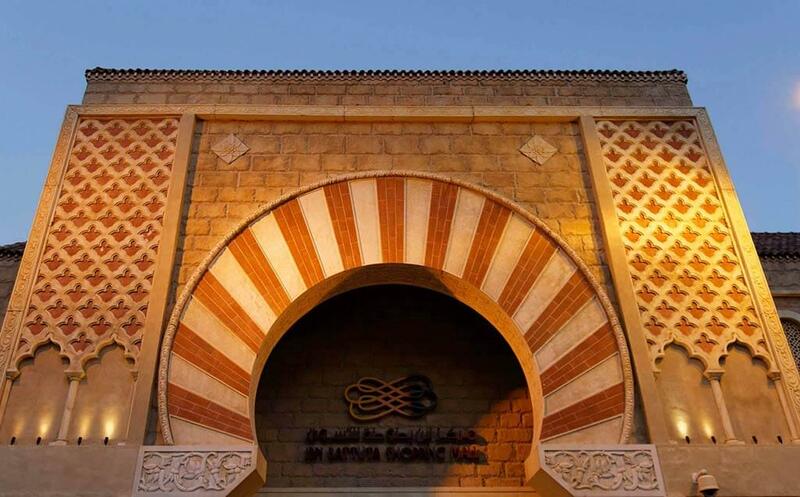 Get the authentic taste of the Arabic culture with the evening and overnight safari. The summer temperatures hover around 106°F (41°C) and at times even hotter. The months between December and March are more comfortable and easy to handle. There may be irregular rainfall intervals in between during these months. The Desert Safari is one of the most exciting outdoor activities in the world. Tourists and guests get to experience the raw desert up-close. One of most memorable journeys in your life awaits you. Do not miss this chance.